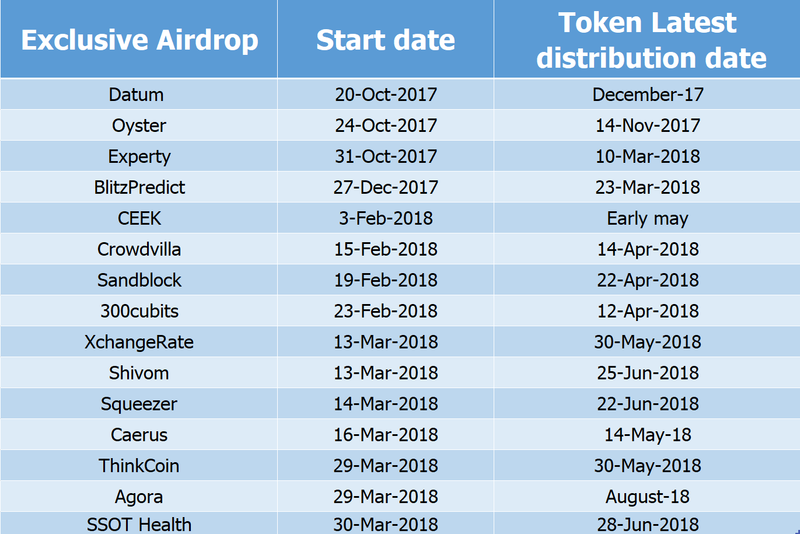 This blog is brought to you by Team AirdropAlert to inform our users about the Exclusive Airdrop Tokens and their distribution dates. Before going over the data, we want to explain why it can take months before you receive your tokens. ICO’s that do an Airdrop almost always distirbute the tokens once the main-sale is over. The reason is that the tokens of the ICO is generated once the total amount of investment is determined. Usually unsold tokens are burned or not minted at all. Other ICO’s decide to lock the unsold tokens for a specified duration. In any case, the point is that the Airdrop tokens are distributed after the ICO has ended. In the same sense, Exclusive Airdrop tokens can only be distributed once the ICO is over. The past few weeks Experty (EXY) and BlitzPredict (XBP) tokens have been distributed by AirdropAlert, both of them were Exclusive Airdrops from few months ago. ICO’s that do an Airdrop, do so before the pre-sale starts, so that people are given the opportunity to learn about the project. However, from the moment of the pre-sale announcement till the moment of the finalization of the sale, there can easily be 1-2 months of time. Note that if the ICO sales period is postponed for any reason, AirdropAlert reserves the right to postpone the Airdrop Token Distribution as well. At least 5% of the ETH addresses in the application forms is in the wrong format, 10% of the e-mail addresses entered are non existent, 15% of the usernames are incorrect. If you did not receive your Airdrop tokens, there is a good chance you entered the information in the airdrop form incorrectly. We uploaded a blog on how to find your usernames and enter the form in the correct way. If you have questions, contact our Support Team at support@airdropalert.com! In Twitter and Telegram username, we need put “@” before? Hi Gustavo, it doesn’t matter whether you put @ or not, if the usernames are correct, you will receive your Airdrop! Thanks AirdropAlert! This is a big help for us! You are welcome, we understand it can be confusing joining a lot of airdrops but not receiving them in your wallet yet. It’s great you compiled this info. My first MEW ERC-20 wallet got hacked. So now I have a new wallet address. I signed up for Datum, Oyster, Expertly, BlitzPredict, and Ceek airdrops with the hacked wallet. Any way to update the wallet address for these airdrops that applied for months ago? Datum, Oyster, Exerty and BlitzPredict have been distributed. So we can’t change that anymore. However contact support@airdropalert.com with you Telegram username, Twitter username, Email address, old ETH address and new ETH addresses and we will help you further. Thanks AirdropAlert for the information and tips, such a well organized telegram group! Could you also include the various token symbols if you have it. Thanks! Behind the name it says (VOTE), which is the token symbol of Agora. Thank you for the feedback. I didn’t receive my Crowdvilla CRV tokens yet in my wallet. Please help. Hello, CRV tokens are not yet distributed, please refer to the uppermost sheet. guys i haven’t received any of the second sheet airdrops and i have applied for all of them. what’s the problem?? The Airdrop tokens are made available when the token sale is finalized, they can not be distributed before the ICO ends. 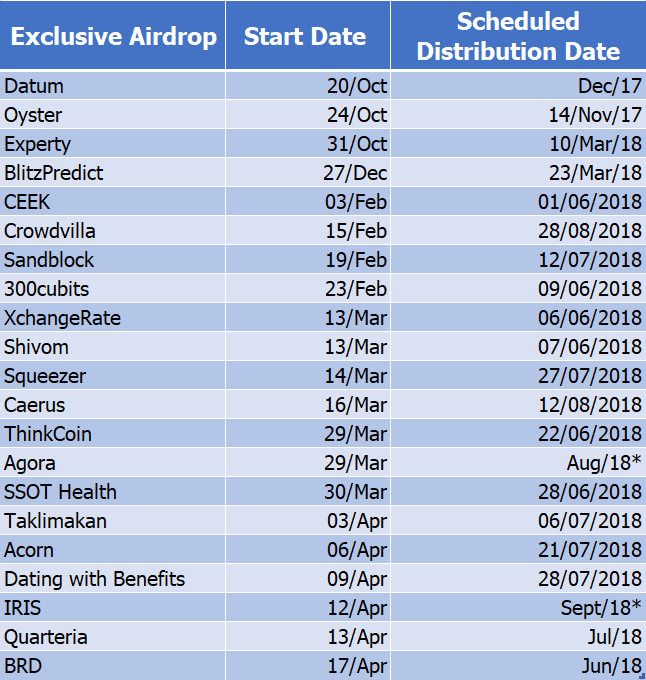 The active crypto enthusiasts is aware that ICO Token Sale dates can be changed even during the ICO, with the result of delayed Airdrop token distribution. This is the reason another sheet is made, the upper most distribution sheet in this blog. 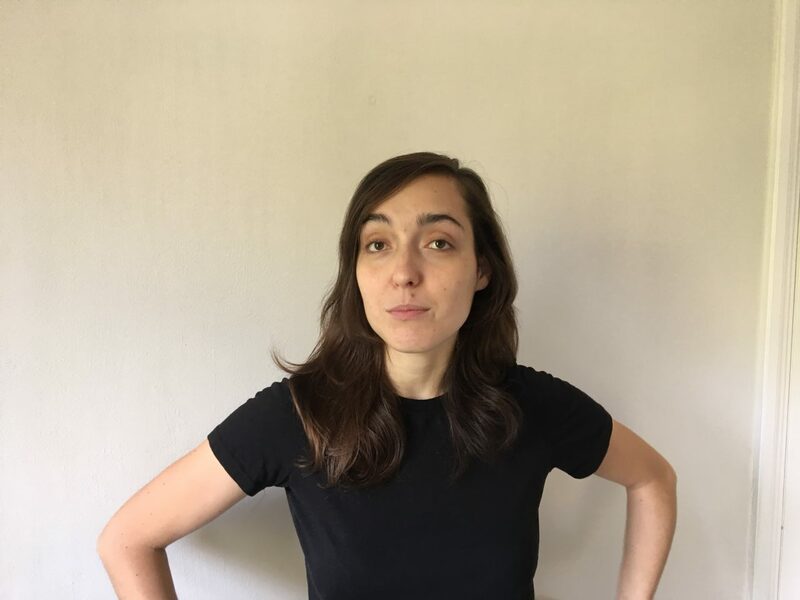 Hi, These tokens have not yet been distributed.